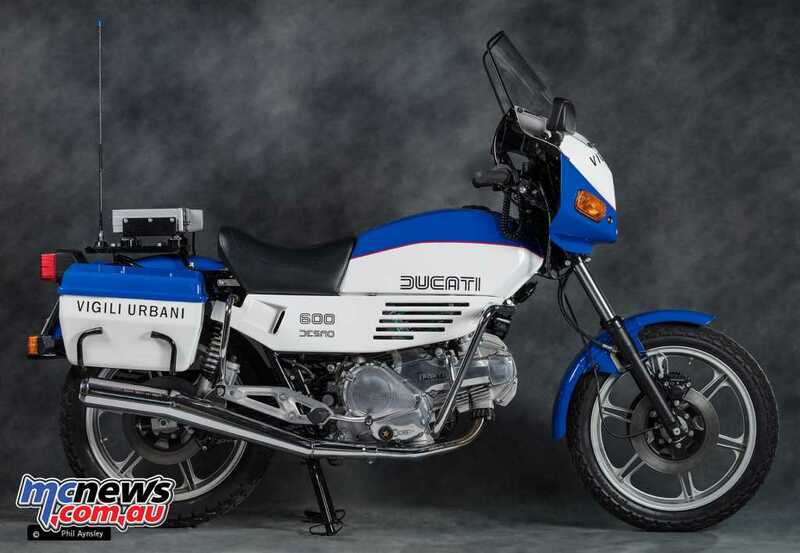 While not as big a supplier of police bike as Moto Guzzi, Ducati did market a range of bikes over many years. 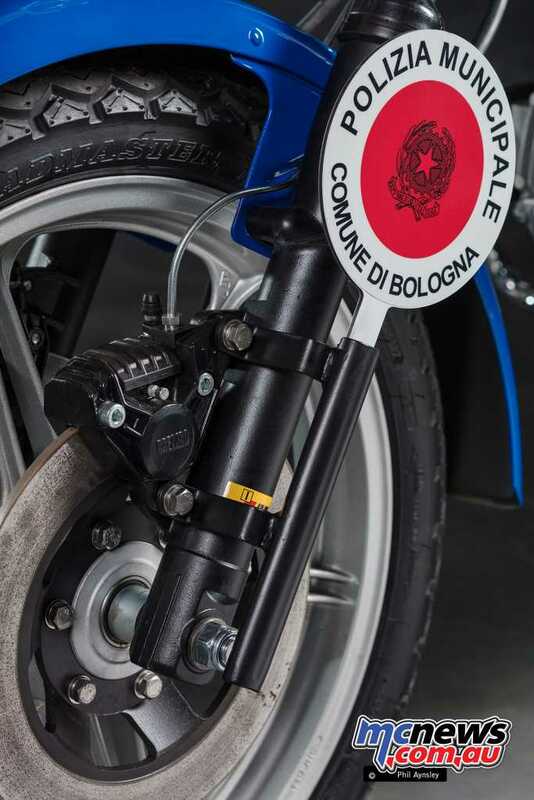 Perhaps not unexpectedly the local Bolognese forces were the major customer! 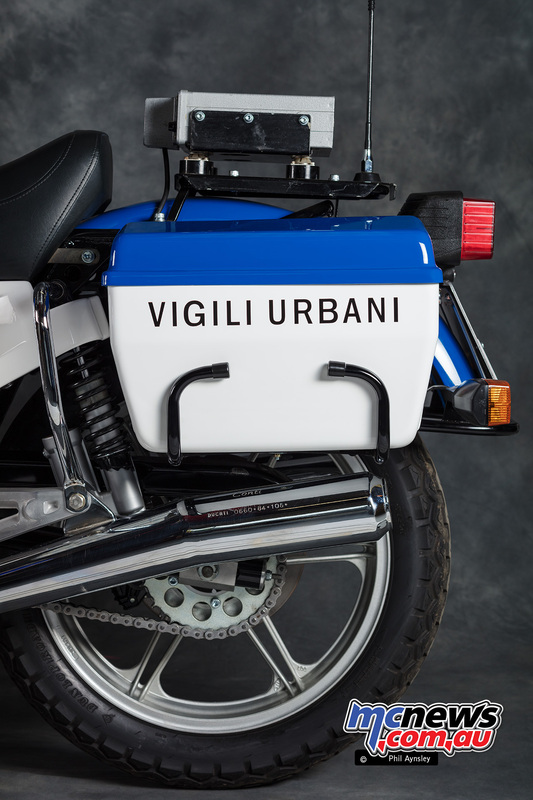 Approximately 100 Polizia Urbana versions of the 600TL Pantah were made during 1983-1984. 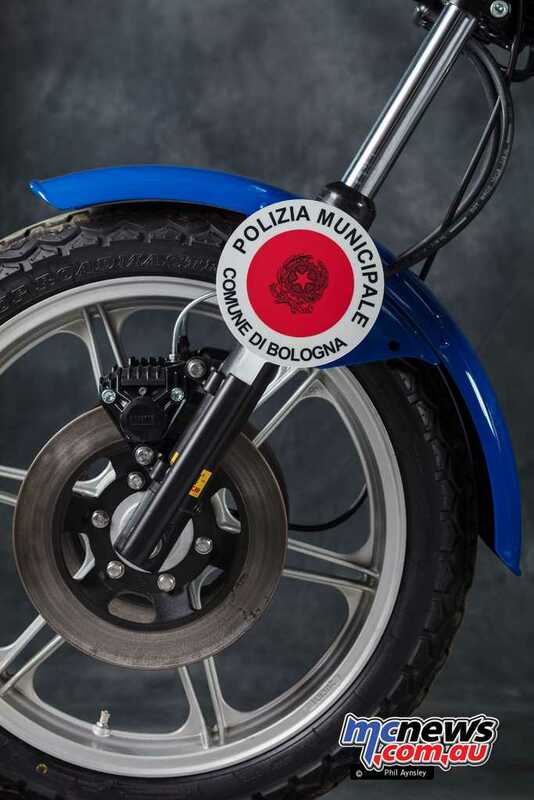 33 were bought by the Bologna Municipal Police. 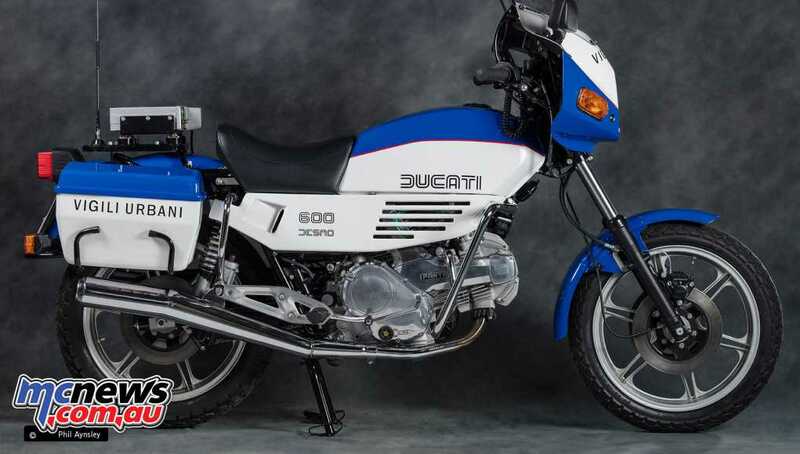 They were equipped with 30mm longer front forks compared to a standard TL, and a Ducati RT 731M two-way radio and loudspeaker (let Guzzi try to match that! 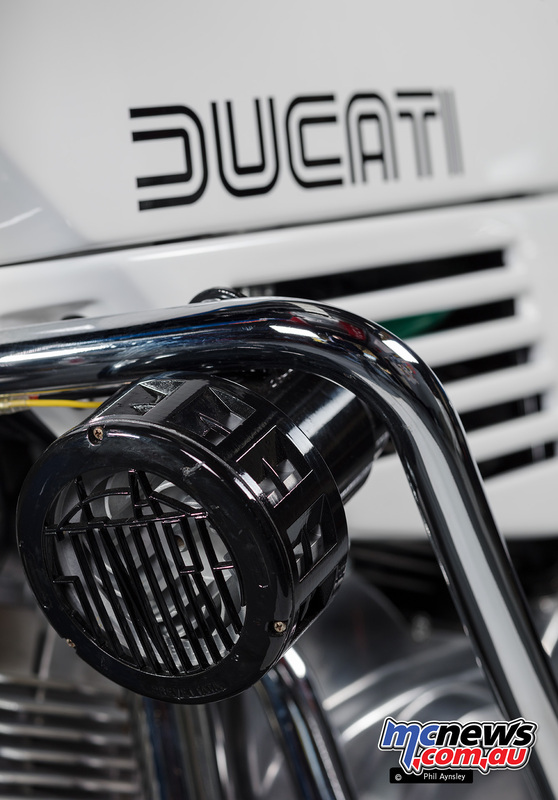 ), panniers and siren were fitted. 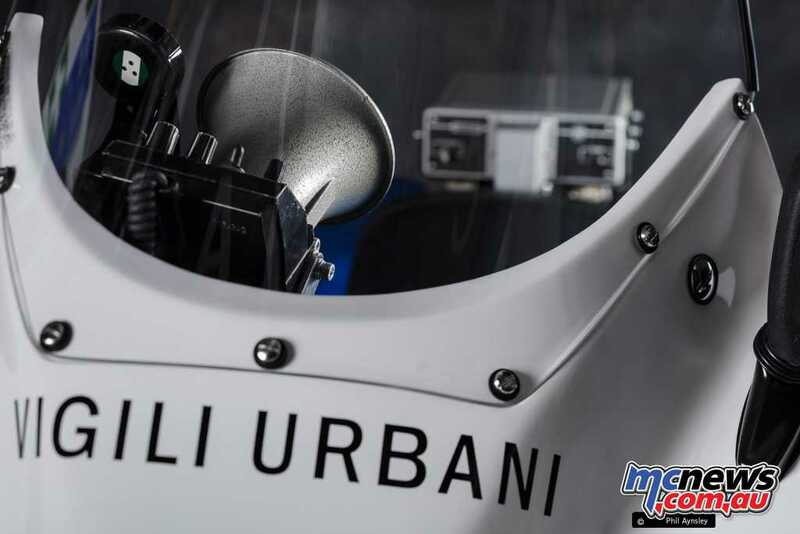 The dry weight (without radio equipment or siren) was 194kg. 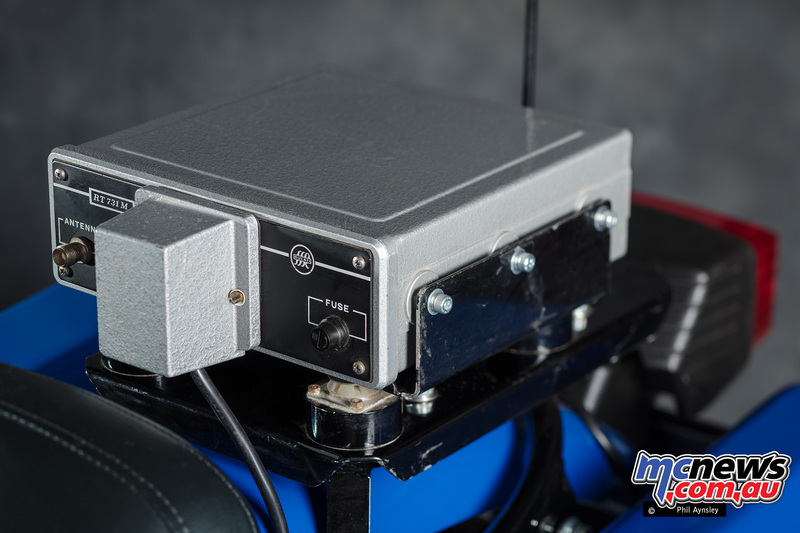 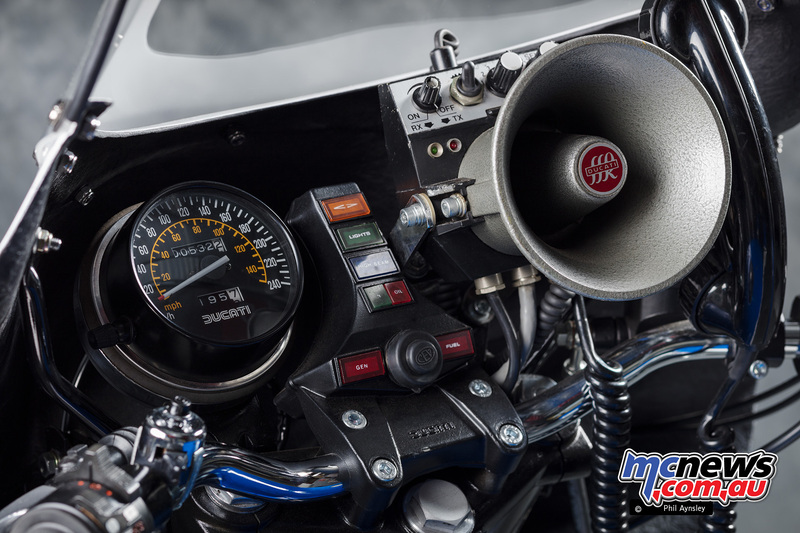 The output of 61hp at 9100rpm provided a top speed of 165km/h. 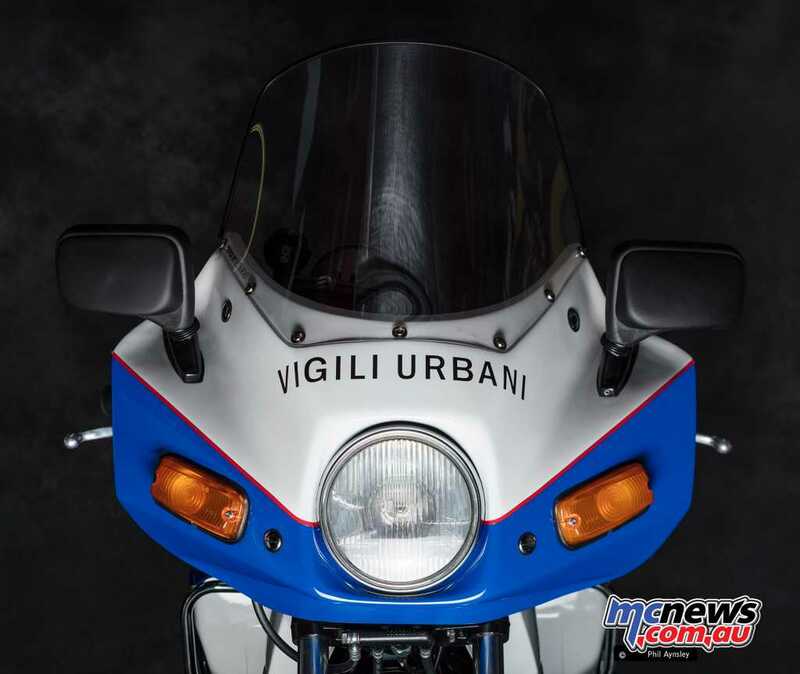 Four of these ex-police bikes were imported by Ian Gowanloch in the 1990s, with this one being the only one to survive as a Polizia Urbana. 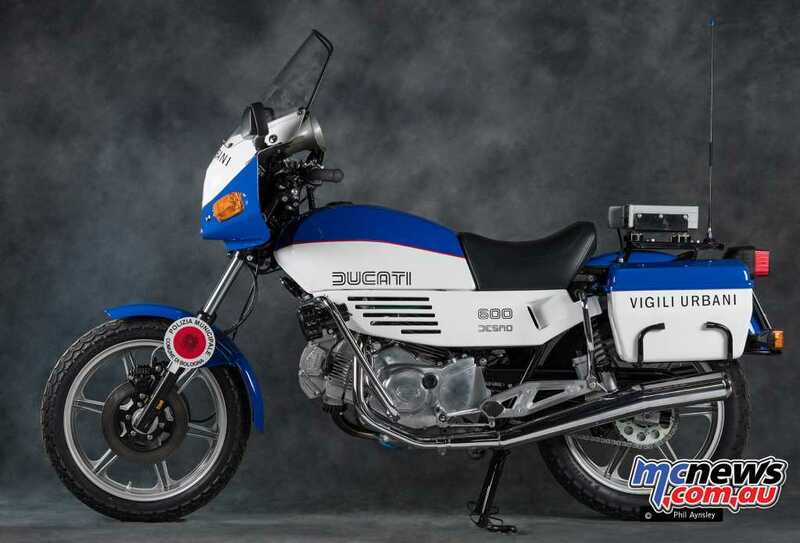 It has recently been beautifully restored by Michael Fuller. 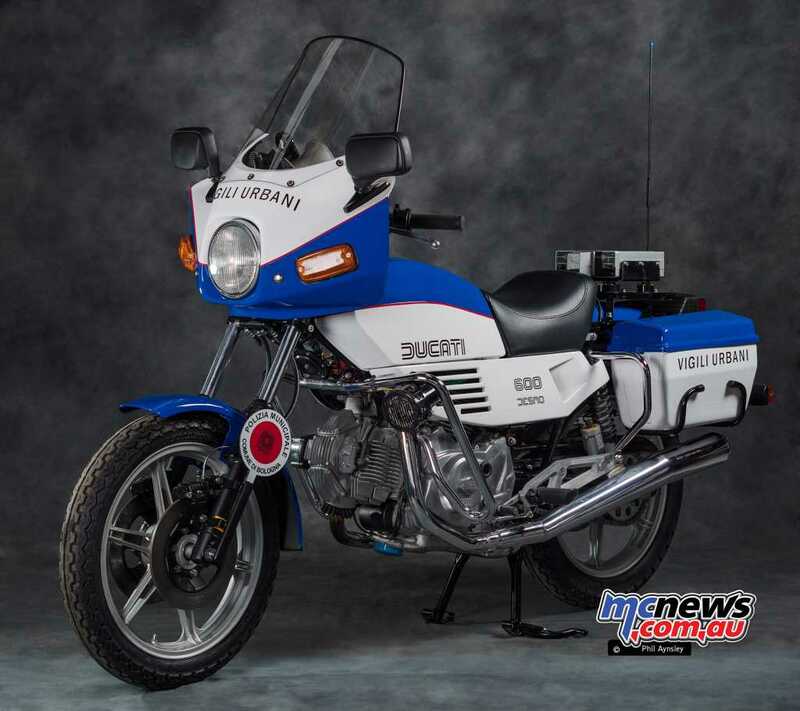 One Polizia Urbana was officially imported by Frasers in 1983 and displayed at the Sydney Motorcycle Show, however its fate is currently unknown. 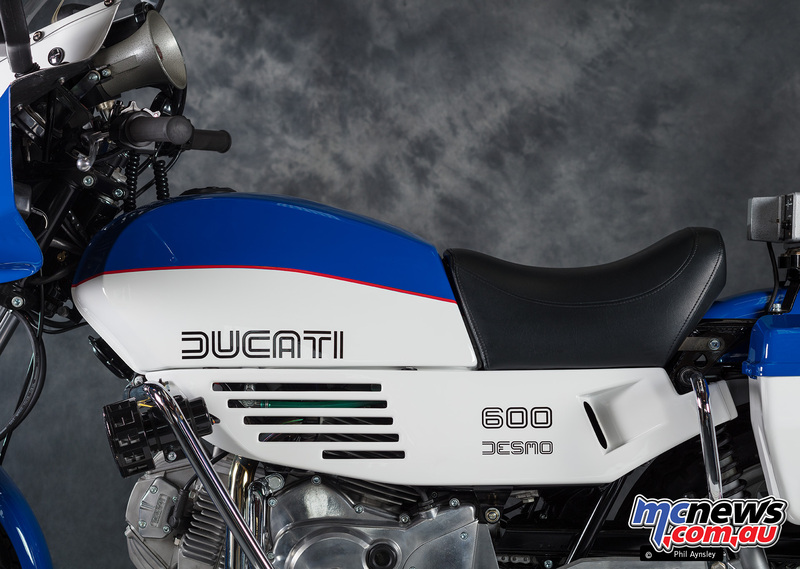 The following police model (1986) from Ducati was based on the Indiana cruiser and available in 350, 650 and 750cc capacities.